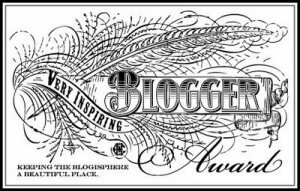 The lovely and talented blogger Morgan of Booknvolume has nominated me for a 2013 Blog of the Year award! I am so flattered and verklempt. Thank you!!! 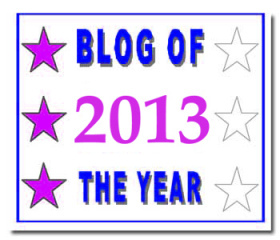 1) Select the blog(s) you think deserve the Blog Of The Year 2013 Award. 2) Write a post about the blog(s) you have chosen (there are no minimum or maximum number of blogs required) and ‘present’ the blog(s) with their award. 4) Come over and say hello to the originator of the Blog Of The Year 2013 Award. 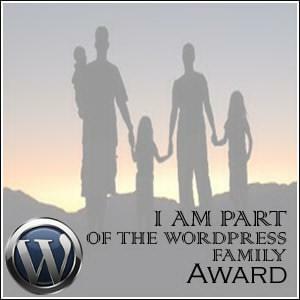 5) You can now also join the Blog Of The Year Award Facebook Page. 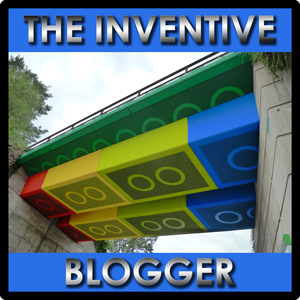 Share your blog posts with an even wider audience. 6) Finally, as a winner of the award, please add a link back to the blog that presented you with this award-and then proudly display the award on your blog- and start collecting stars! First, there’s Seedbud’s beautiful photographic blog Leaf and Twig. It’s simple, elegant, and full of the loveliest photos. 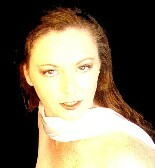 Green-Eyed Geisha features song lyrics, poems, pin-ups, and love letters on LoveMen.org. Tabby Cat N Bears features prose, poems, thoughts, and photography. Steven McCabe of Poem Image has gorgeous poetry and artwork. 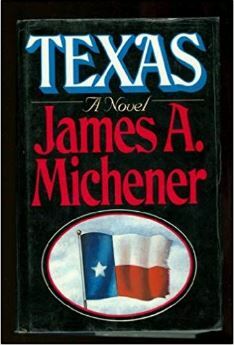 Jeff Coleman Writes about writing, reading, art, and magic. Painting Pundit has news, tips, and commentary for artists. FloridaBorne writes Two On A Rant, about two women and the little things that bug them. And last but not least, My Food And Flowers is about gardening, flowers, and cooking. 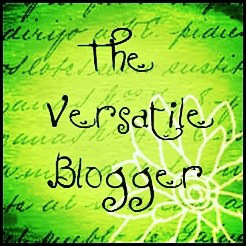 Please visit these remarkable blogs to check out their unique styles, amazing poetry, thought-provoking writing, beautiful photography and inspiring art. You will not be disappointed.